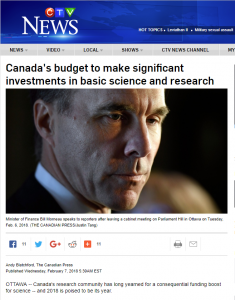 Read this article on CTV news about the 2018 Federal budget and talks of investment in basic science and research. 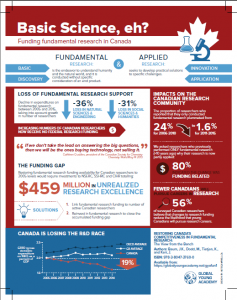 success of Canada’s young researchers—vital to our country’s future prosperity—depends upon it. McGill’s students and researchers are working together to #supportthereport. We hope you will join the McGill community in boldly imagining what Canadian researchers can achieve with the support they need to fuel new discoveries and the innovations of tomorrow. 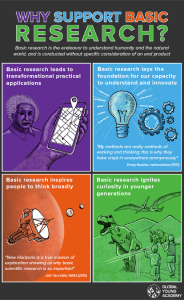 Amongst the resources on this page, view a video by Martha Crago – Explaining what is fundamental research, and why should we care.